Property Inspection done right by Go Inspect in Long Beach Ca. Polybutylene piping is gray plastic piping that is very flexible, with joints secured with either epoxy or inserts fittings and metal crimp rings. This material has been known to be defective at the junctions. Barbed brass or copper insert fittings with crimp ring joints are generally more dependable than the epoxy joints. The joints are vulnerable to chlorine in the water, which causes deterioration. 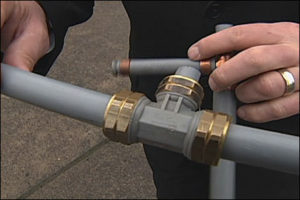 The insert fittings have been in use since 1986 and are still in use today. 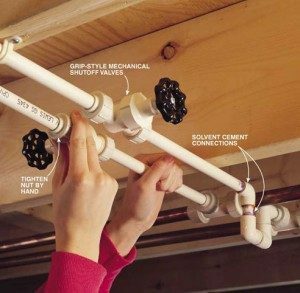 Most municipalities do not allow certain types of Polybutylene piping to be used for residential potable water. There have been individual as well as class action lawsuits concerning certain manufacturers of this product. The major manufacturers of PB piping were Quest and Vangard. Since they can no longer purchase the resins necessary to produce this material, they have begun production of PEX. Which is a type of Polybutylene that is acceptable for potable water use in most areas. 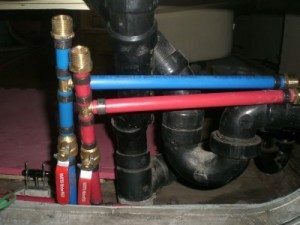 The second type of polybutylene piping is “Big Blue”. 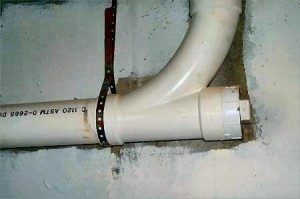 This piping is typically utilized in the main water supply to the house. Its name was derived from the color of the material. 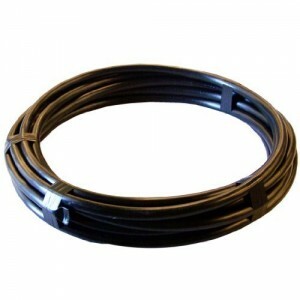 The material was an inch and half to 2 inches in diameter and was rated for cold-water installation only. 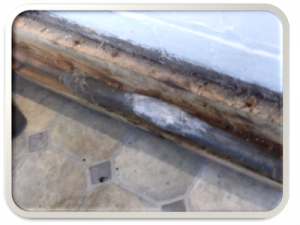 The major problems that have occurred with this type of PB are related to poor installation practices. Galvanized steel piping is still in use, however, it is not installed in modern construction. It oxidizes from the inside out, the oxidation (rust) reduces the interior diameter of the pipe, restricting the flow of water and it usually first leaks at threaded joints where the pipes are joined. This is analogous to hardening of the arteries in humans. 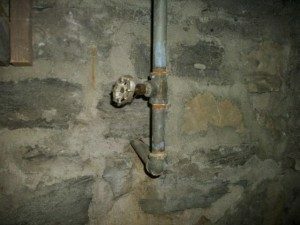 Adequate water supply can normally be restored, to some extent, by replacing the horizontal supply piping in the basement (assuming they are accessible) with copper piping. 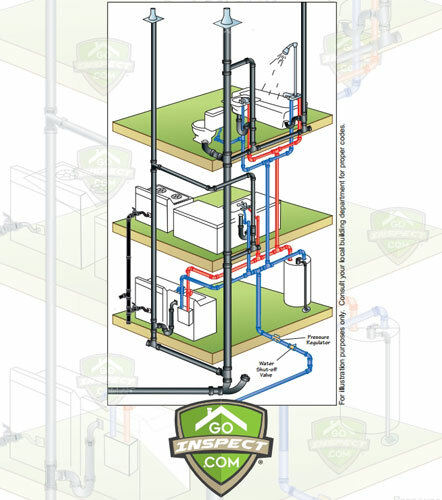 Replacing the vertical risers in the walls is much more difficult and expensive than accessible horizontal piping Replacing all of the older galvanized steel piping would be the most desirable solution but the most expensive. If the supply piping from the municipal water lines is galvanized steel, it is likely that the service piping is also galvanized steel. Galvanized steel piping fails sooner at the heavier used fixtures (i.e. the kitchen sink and the main bathroom). Failures are usually related to the amount of oxygen that is present. 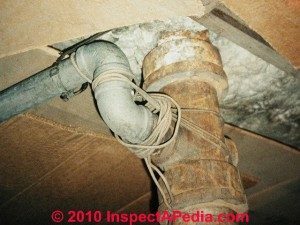 The more a fixture is used, the more water (and oxygen) is present, which corrodes/oxidizes the piping at a greater rate. 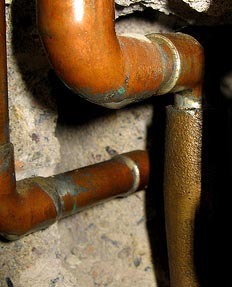 First clues of failure in the piping are roundish rust growths, commonly called rust warts, on the outside of the pipe. These are failures that have come through the pipe. It is not unusual for the corrosion to seal the failure.